Property giant, Old Mutual Zimbabwe Limited recorded $ 300 million net profit after tax on the backdrop of improved revenue that sprung by a 41 percent point margin from $ 991 million recorded in 2017 to close at $ 1.4 billion on December 31st 2018. Strong revenue performance was mostly attributed to price increases in the forth quarter following inflationary pressures on the economy. 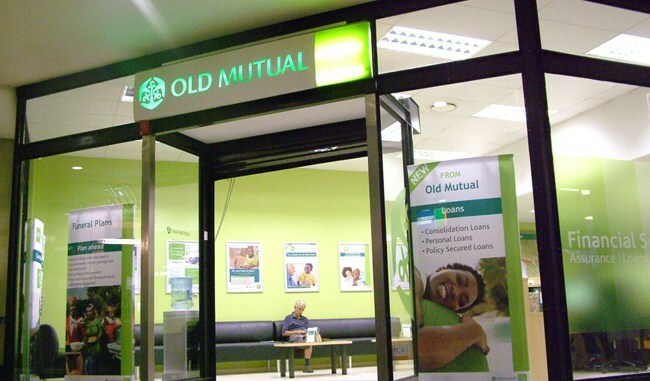 Presenting the company results last Friday, Old Mutual chairperson Johannes Gawaxab said operating and administrative expenses declined three percent to $ 91.4 million from $ 93.8 million the privious year. “Total revenue rose by 41 percent from $ 991 million to $ 1.4 billion on the back of growth in all revenue lines, particularly investment gains and banking interest income. Operating profit increased by 23 percent from $ 64 .5 million to $ 79.2 million, driven by profit growth in the life, banking and asset management businesses,” said Gawaxab. However, with high risks of loss of value in monetary assets emanating from the monetary policy and associated uncertainties in the economy, the company sort to cushion its profit gains by investing in non-monetary assets. This has led to the completion of the Eastgate Market during the course of the year while the company also completed the development of a total of 1 082 stands in Bulawayo’s Pumula South and Nkulumane suburbs. Old Mutual also acquired land for development in Victoria Falls and Hwange. This was coupled with other value consolidating instruments such as the Old Mutual Bond Fund. Total assets increased by 41 percent from $ 3.1 billion to $ 4.4 billion driven by growth in investments and securities as well as loans and advances. “We launched the Old Mutual Bond Fund. The Old Mutual Bond Fund is a pooled fund that invests in medium to long-term debt instruments. The fund aims to generate returns for our customers through a combination of income and capital appreciation by building a portfolio of credit worthy medium to long term debt instruments,” added Gawaxab. Going forward, analysts are timid of the outlook in 2019, threatened by a combination of inflationary pressures coupled with uncertainties in the macro-economic environment which have already seen the property sector hardest hit as disposable incomes have drastically deteriorated. The company’s figures were prepared based on the 1;1 USD/ RTGS rate.